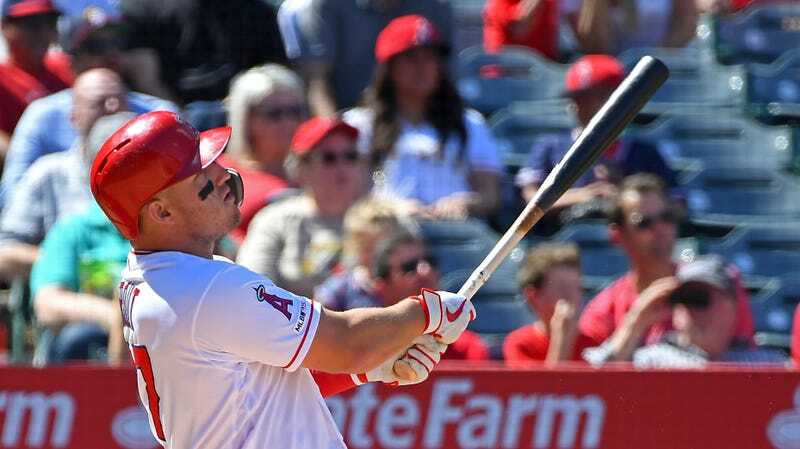 The annual tradition of wondering if Mike Trout is on his way to the greatest season in the history of baseball seems to start earlier every year, and with good reason. Trout is entering his age-27 season and coming off one in which his OPS reached a career-high of 1.088. This is the trajectory of a player who is about to truly enter his prime, which is a scary thought given that not-yet-in-his-prime Mike Trout is already the best player in the league by a wide, wide margin. What does his next step even look like? So far it looks like this: .393/.581/1.000, five homers, 11 walks, 12 RBI, 11 hits, three strikeouts.